Amenla Nuken is a Technical Specialist at ICRW’s Asia Regional Office. In her role, she lends technical support for conducting evaluation research that involves designing research studies, preparing documentation required for the Institutional Review Board (IRB), developing study tools, monitoring and managing data collection, data analysis and preparation of syntheses based on data analysis. Amenla understands the research concerns related to health, particularly HIV/AIDs and Reproductive Maternal Newborn Child and Adolescent Health (RMNCH+A). She is skilled in both quantitative and qualitative research methods. Prior to joining ICRW, Amenla worked with the Nossal Institute Limited-India, a non-profit company owned by Nossal Institute for Global Health, University of Melbourne. 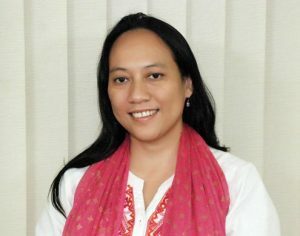 In this role, she was mainly involved in research and documentation of the HIV epidemic in Northeast India, including harm reduction activities and interventions under the AVAHAN- Knowledge Network Grant. She was also engaged in research collaborations involving a range of stakeholders including institutions, government, NGOs and donors.